David Alon identified this Chalcolithic ritual and trading center, located ca. 20km northwest of Beersheba, in the 1950s. Initially, three seasons of excavation were carried out under the auspices of the Israel Department of Antiquities from 1975 to 1977. Three further seasons were undertaken by Thomas E. Levy and David Alon on behalf of the NGSBA in 1989, 1990 and 1991. 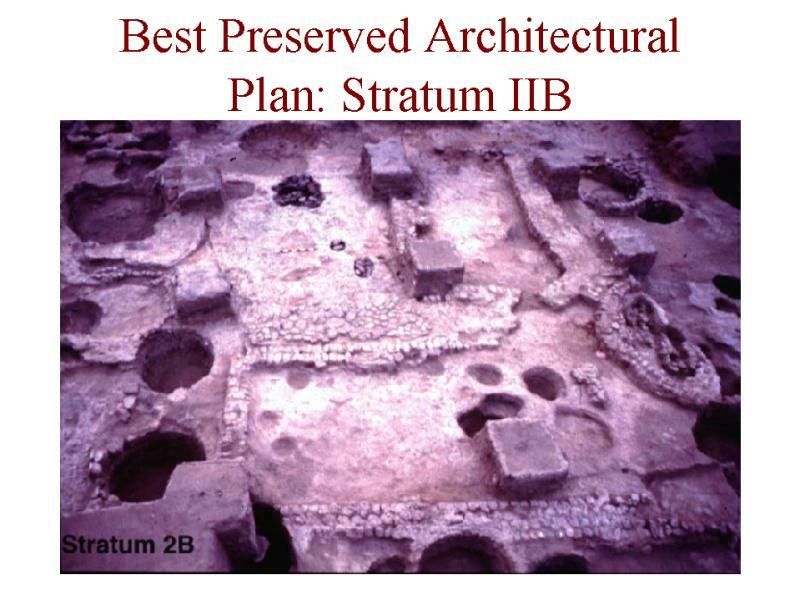 Although the earliest occupation is indicated by many large pits and very little architecture (Stratum IV), remains of the later Stratum III were found to contain a complex of buildings, courtyards, and silos. 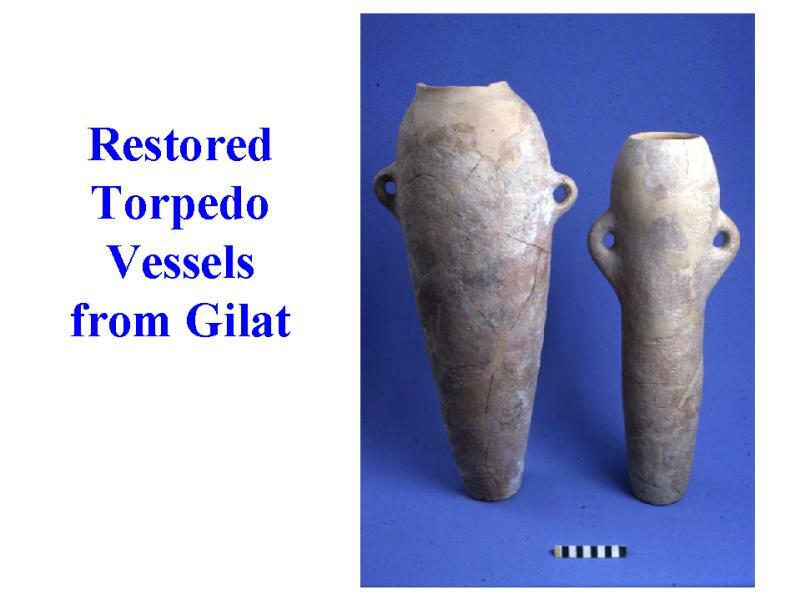 Pottery remains inside a rectangular building, certainly a temple, included statuettes, fenestrated stands, violin figurines, stone palettes, and torpedo vessels among other finds. After a destruction, a new building complex was built, having a large courtyard with a standing stone (masseba) in its center. Other major features of stratum II include: three buildings, two basins, a hearth, a mud-brick platform, and several silos. Numerous finds from the excavation indicate a cultic purpose. In the late fifth and early fourth millennia BCE, the site became a regional cult center, as the plethora of cult and imported artifacts found there indicate. Both anthropomorphic and zoomorphic statuettes are some of the most important cult objects from the region. 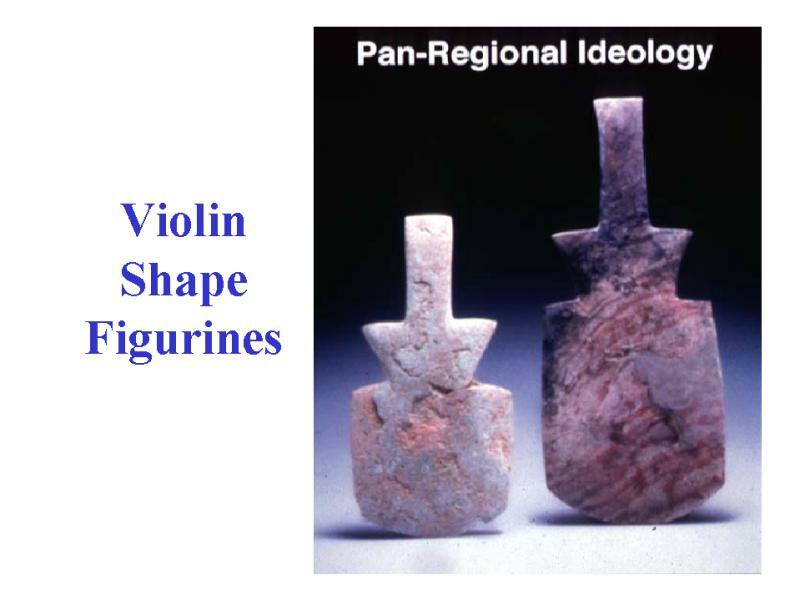 Sixty violin-shaped stone figurines are highly abstract and geometric forms. The pottery assemblage from Gilat is both rich and unique. The most common forms were V-shaped cups, cornets, bowls, basins, hole-mouth jars, churns, stands, and jars. 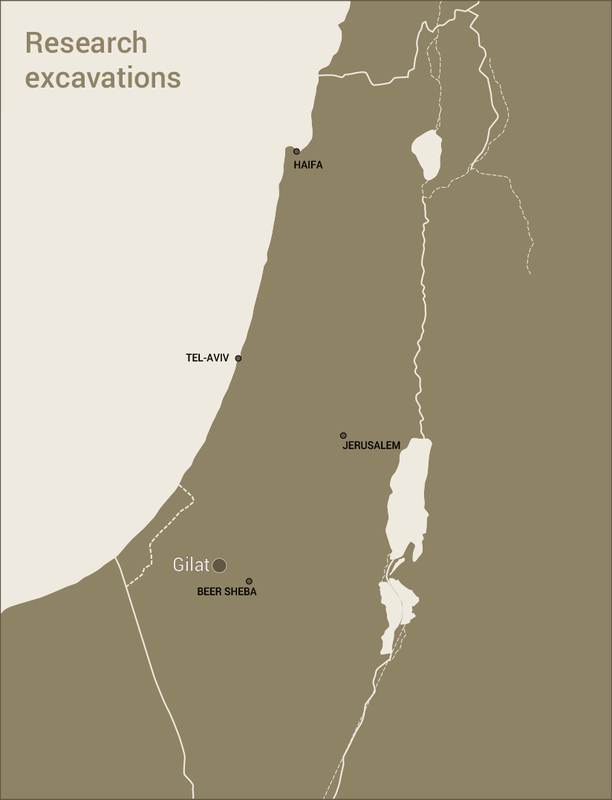 Petrographic analysis of the pottery indicates that pottery vessels found at Gilat were made in many locations all over southern Israel and southwest Jordan. Some came from as far as the Nile valley.